So your boyfriend may be a gamer. He may be into playing a variety of games, whether on his PC or his Xbox, and he probably dedicates a lot of time to it. Chances are, he also probably plays live with other gamers online. He probably talks to you about it a lot and you probably hate when the gaming interferes with your quality time (see gamer gf prob #1). However, I don't think it's all too bad until he takes you to meet a real professional gaming team. Yeah, I don't think you are truly addicted until your significant other is following gamers who make their living off of it and then take you to meet them. A couple weeks ago, we did just that. As I've mentioned before, Darell is a huge fan of the game League of Legends. He has achieved a "gold" status in the game (which apparently is good but not that good), he has watched pro-gamer teams play in live matches (they are actual competitions like how cheer has championships), and I have even purchased a jersey of his favorite player on his favorite pro team. So of course, when his favorite team is in town doing a meet-and-greet, he has to take advantage! (I mean I have done the same when it came to meeting my favorite Youtubers in the past so I understand). 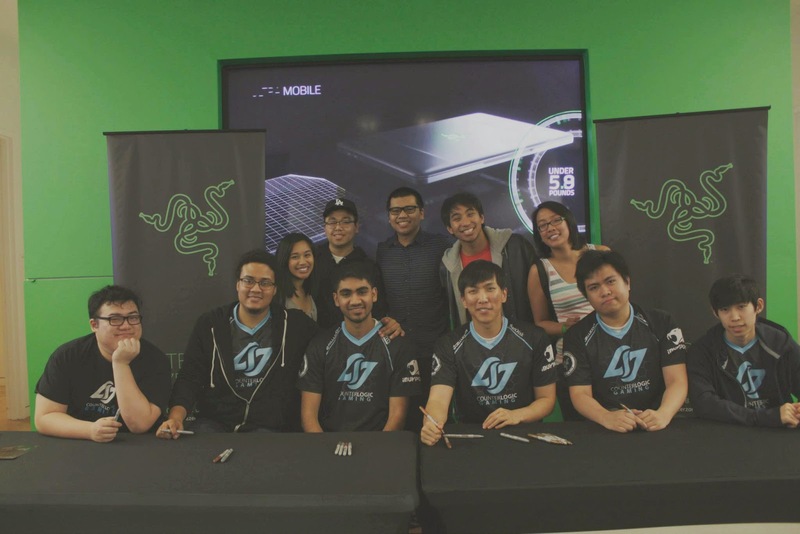 We went to the Microsoft store near my school and got to meet Counter Logic Gaming (or CLG for short) and take photos with them and get their autographs! 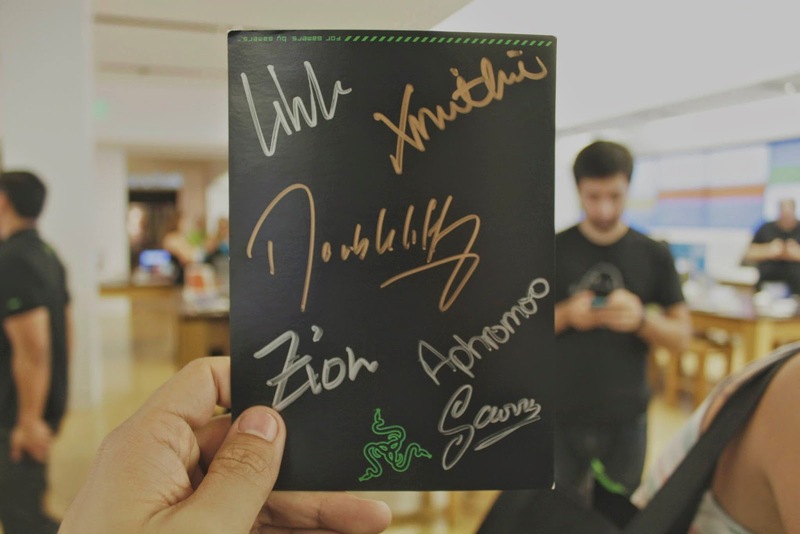 We also got cool swag bags from Razer, a gaming accessories brand (none of which I kept because I'm not a gamer #gamergfprobs), and got to just hang out for a bit. I think my favorite part of the whole night was watching Darell meet his idol, Doublelift (that's his gamer name). He was so happy in a cute way! He was definitely fangirling but not outwardly freaking out as much as other people would. I love seeing him that way. If you ever get dragged to an event such as this for a game that you may or may not care for, I have this tip for you: Make the most out of it. I don't necessarily hate the game like I used to because I understand it better. That makes it easier for me to watch Darell play and talk about the game because I understand it. The game is pretty cool, but still not my first choice of entertainment. When he took me to this, he and our other friends actually surprised me by telling me an hour before they were coming that they were coming to get me. Darell asked if I wanted to go and I said yes because why not? You may or may not have a choice like me but just stick it out and go for them. I'm sure that you appreciate when your boyfriend goes out of his way to do something you enjoy that he may not, so do the same for him. Sacrifice a little, and it will be worth it. The meet up wasn't so bad. I had fun watching how dedicated the League of Legends world is and seeing my boyfriend so happy from meeting his favorite player. It was worth ditching my homework for a few hours. Oh, the life that I live as the girlfriend of a gamer. Any other gamer girlfriends/spouses out there? 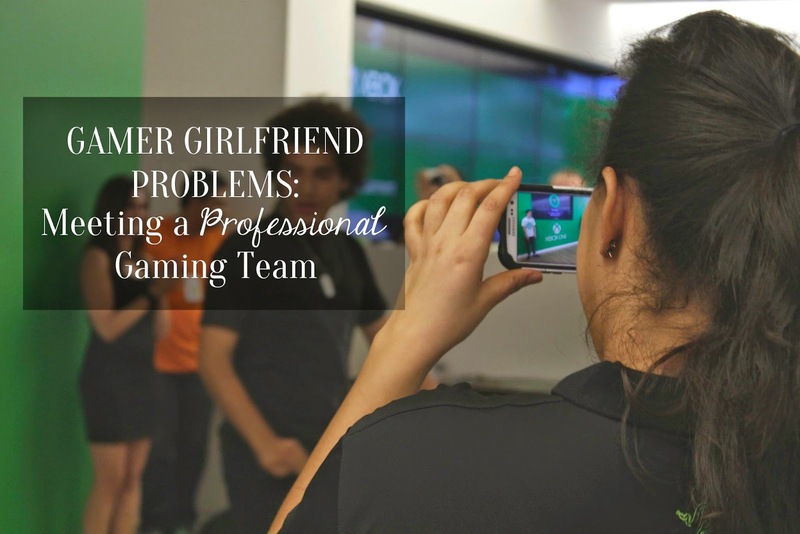 What are your gamer girlfriend problems? What do you want to see for this series? Tell me & I'll probably write about them! I read this with my boyfriend reading over my shoulder and he was so jealous/excited, CLG is quickly becoming his favorite team too!! haha! He also loves the idol that your bf likes too haha! He said they are all awesome dudes. So, I am clearly well versed in being the gf of a gamer! Haha that is so great! I'm always so happy whenever I find another girl who is in a relationship with a gamer! I would love to talk with you more about all of this sometime, haha. If your boyfriend doesn't mind, Jess, if you could comment or email me your boyfriend's gamer tag & I'll pass it along to my boyfriend & they could probably play together on the Summoner's Rift, hahaha.